No, this isn’t a blog about the afterlife. At least, not your afterlife. It’s about the afterlife of Stuff that you’ve inherited or are about to inherit. Things. Objects. Items you have to deal with when your loved one has passed away and left you with a houseful of Stuff. Whether you are the sole heir or one of a hundred, dividing and disposing of a family member’s personal possessions is a daunting job made harder by the fact that few of us are adept at evaluating objects. And before you can decide what to do with an item, you need to know what it is and roughly what it is worth. None of us wants to “sell stupid.” Unless you are a professional appraiser or a museum curator, you probably know very little about the objects your grandparents own. Even your parents’ belongings can be a mystery. Are those spoons sterling silver or silverplate? Are the pearls real or imitation? Is that painting a valuable original or a worthless copy? Are you sure??? 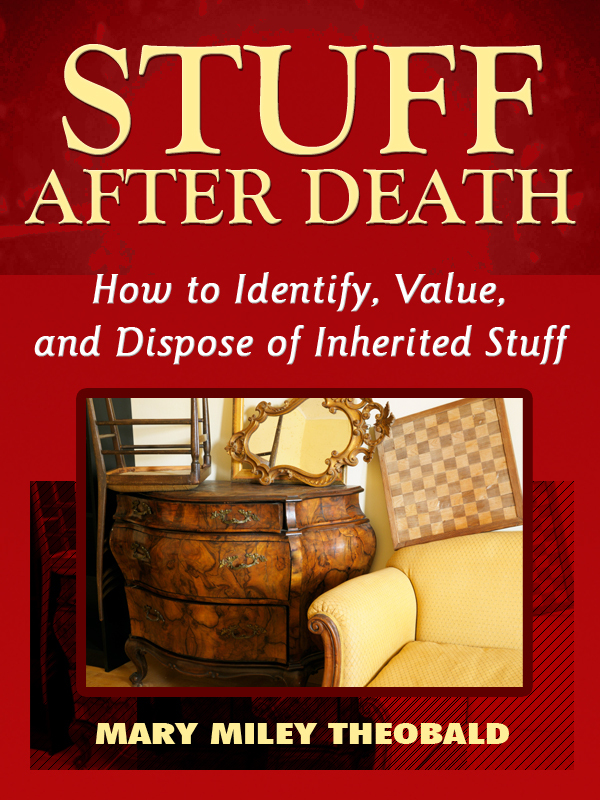 This blog accompanies the book, Stuff After Death: How To Identify, Value and Dispose of Inherited Stuff. It is available as an ebook through amazon.com or barnesandnoble.com for $4.99. The book and this blog will help you decide what it is you have inherited, what it’s worth, and what to do with it. Sell? Donate? Keep? Toss?